A tour of the old animation building — including a walk through of Walt Disney’s office, work office and secretary’s office — showed the hands on leader that Disney was. The Walt Disney Signature Series Classic “Bambi” has been iconic for including themes Disney had not had in their animated films before, the beautiful aesthetics and visual style and for despite all odds making an impact on animation style and storytelling. The themes introduced in this animated film included the death of a main character, the social commentary of the importance of the environment and the depiction of man as nature’s villain. It also seemed that for the first time a major studio casted children to roles. The voice actor for Bambi, Donald Dunagan was cast at age 5 after being in a few other roles and the voice actor for Thumper Peter Behn was 4 and had auditioned for Bambi but fit the role of Thumper better. Dunagan said that he had been on studio lots before and there was a pompous feel to the people working at the studios, but not at Disney studios. Behn said that they had so much help to do their lines, since they were so young, and even though they didn’t continue their careers in acting were thrilled with the experience. Both Dunagan and Behn recall seeing Walt Disney, but didn’t place him as being the head of the studio. Walt Disney was always running around, had his sleeves rolled up and helped out wherever he could. Dunagan said Walt Disney was very hands on like a good leader would be. “Bambi” faced several challenges because of the time period that it was made. Even though Release was pushed back because of World War 2 and the bombing of Pearl Harbor, it was eventually released and in the first run didn’t make any money. Neither of the young voice actors knew that the movie would go on to reach the level it did and neither could have fathomed being cemented in history along with the movie which continues to inspire. 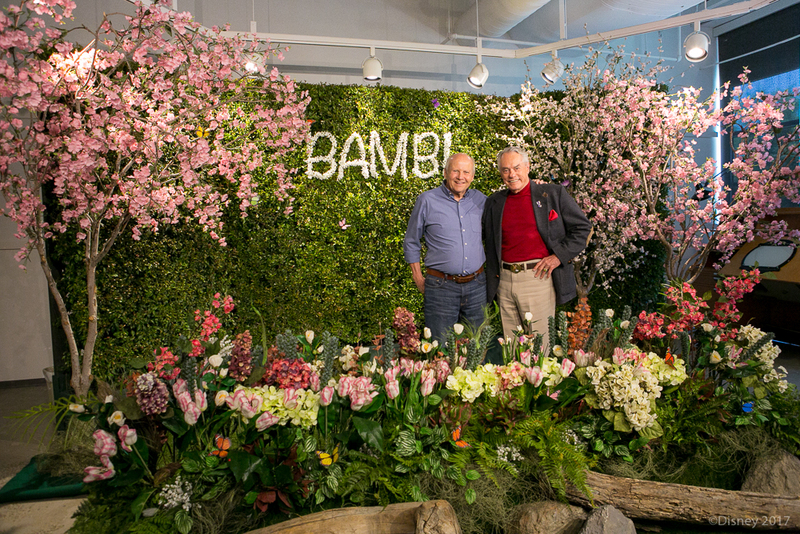 “Bambi,” which celebrates its 75th anniversary this year, joined the Collection on Digital HD and Disney Movies Anywhere on May 23, and on Blu-ray™, DVD and On-Demand on June 6. Free Advance Screening Passes to SPIDER-MAN HOMECOMING in Los Angeles!